See here for his post, over at The Faculty Lounge. Each of us can weigh in on Nevada's budget. Here's a text version of what I've sent. I know that today’s economic climate is exceptionally challenging, and my thoughts are with you as you navigate toward a reasonable budget for our state. I am writing to you to urge that you invest more in Nevada’s educational system, not less—and certainly not the “less” that the Governor has proposed. My husband and I moved to Nevada in July 2007. He is a solo practitioner working for Nye County, and I am the Gordon Silver Professor of Law at the William S. Boyd School of Law at the University of Nevada, Las Vegas. We moved here from Houston, Texas. He is a native of Columbus, Ohio, and I am a native Texan, hailing from a small town outside of Houston. Many things attracted us to Nevada: we like the climate, we enjoy the outdoors, and we have a great respect for the spirit that built Nevada. Our move was initiated by UNLV’s offer to have me join the Boyd School of Law. This law school is an unparalleled success story: barely ten years old, and the only law school in the state, Boyd School of Law was accredited and granted membership to the prestigious Association of American Law Schools in record time. The school is nationally known for its legal writing program, its conflict resolution program, and its clinical program, which trains law students how to be ethical, competent, caring lawyers. Its graduates now pass the Nevada bar at rates far exceeding the state average, and they (and several of us on the faculty) provide proportionally more pro bono work than other lawyers in the state. My colleagues and I on the faculty take part in nationally and internationally recognized research, evidenced in part by court options that cite to our research, “top ten” lists in the Social Science Research Network tracking system,* and numerous invitations to speak at conferences all over the world. We are a top-notch law school that provides high-quality teaching, research, and service to the state, the nation, and – at least for our scholars in international law – the world. In my opinion (and I recognize that I’m biased), our law school gives far more to the state than it costs. I know that you understand how crucial it is to help Nevadans receive a decent education, from K-12 through college (and beyond). And I know that you’re stuck between the proverbial rock and a hard place when it comes to funding that education. I am extremely sympathetic when it comes to your difficult position. 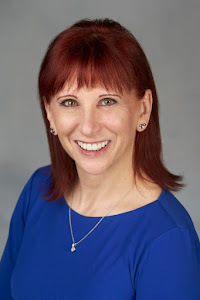 I have blogged about the crisis of Nevada’s budget before: see http://nancyrapoport.blogspot.com/search/label/Nevada%27s%20budget. I have also published an opinion piece in the Las Vegas Sun: http://www.lasvegassun.com/news/2008/nov/16/recover-nevada-must-adjust-its-model/. If we are to see Nevada through this economic crisis, though, we need to support those sectors that will rebuild Nevada’s economy – including sectors that can attract new businesses to Nevada. Nevada’s low tax rate may have worked well in the past, when the population was smaller and we could build our economy on a very few sectors, such as gaming. I’m willing to bet, though, that we could still attract new types of businesses here if we make such moves worth their while by educating their employees and the children of their employees; by providing the type of medical and other research that makes their businesses more efficient, their employees healthier, and their streets safer; and by making Nevada a place where government and the private sector combine forces to maintain a decent infrastructure. I’ve worked at several research universities, including The Ohio State University and the University of Nebraska, before coming out here. The dollars that have come from national research grants earned by faculty members have helped to make those universities stronger, and that increased strength resulted in benefits to the citizens of those states. My own research and expert advice is about to result in jobs for several Boyd law students and graduates; I am about to be appointed as the fee expert in one of the nation’s largest bankruptcy cases, and part of that appointment carries with it the ability to hire assistants to help me sift through millions of dollars of professional fees in that case. I would like to stay in Nevada and continue to build an exceptionally good law school. My husband would like to stay in Nevada to work with Nye County on its regulatory issues. We like it here—very much. But we both worry about what decisions you are going to have to make in this legislative session. I am a former bankruptcy lawyer, and I have participated (and continue to participate) in the reorganization of many companies. I know that cuts are necessary, but I also know that cuts must be tempered by selective investment in profitable ventures if a business is to survive. Please don’t follow the Governor’s proposal, which would eviscerate Nevada’s K-12 system and its system of higher education. Please come up with your own, better way to save our economy. If I can be of service in any way in your deliberations, please call on me. I have attached my resume for your convenience. * Based on an SSRN count that I did earlier this month, four of us are among the top 1500 most-downloaded law authors in the country (Michael Higdon, at 1177; Jay Mootz, at 340; Jean Sternlight, at 452, and me, at 440). There are over 195 accredited law schools in the country, many with sizable faculties. For a small law faculty like ours (fewer than 50 faculty members, including non-tenure-track faculty members), this statistic is no small feat. Best of all, of these four professors at Boyd, one—Michael Higdon—is a Boyd graduate himself (class of 2001). Congrats to Rice U students Faheem Ahmed and Anish Patel! Rice University students Faheem Ahmed and Anish Patel won the right to represent mtvU at last night's Academy Awards. BRAVO, Faheem and Anish! For the video that won them that coveted spot, see here. Let's play "connect the dots"
I read these three pieces in today's local paper: Gibbons'[s] budget would kill higher education (here), Drop, drop, drop . . . . (here), and Kill Yucca, then get going on the rest of our problems (here). What links them? Well, Nevada's economy is pretty awful right now, and as things stand, higher education cuts are poised to bear the brunt of Nevada's attempt to balance the budget (the first piece). Virtually everyone in Nevada is suffering from plummeting housing prices (the second piece). And our local newspapers are still clamoring to get rid of Yucca Mountain (the third piece). I'm still waiting to read reporting of the millions (possibly billions) of dollars that working with the federal government on envisioning Yucca as a safe place to store waste would have meant (and could still mean) for Nevada. We're talking regular infusions of cash here, plus studies by independent scientists (NOT the same folks who brought above-ground nuclear testing to Nevada in the last century, and who said that such testing was "safe") to make sure that nothing would go in the ground that posed a real risk for Nevadans. We're talking about jobs in Clark County (where Las Vegas is located) and Pahrump (Nye County, near the Yucca Mountain site). We're talking about people who, instead of facing layoffs and possible foreclosures, could pay their bills and keep their houses. I may be biased, but the idea that Nevada should reject funding from the Federal government during the investigatory phase (the "will Yucca work and be safe?" phase) because it prefers to stick its head in the sand seems a bit short-sighted to me. My guess is that the newspapers haven't polled Nevadans recently with the following question: would you rather that your state accept some federal funding while Yucca is being debated, or would you prefer to reject federal funding while your economy goes down the tubes? 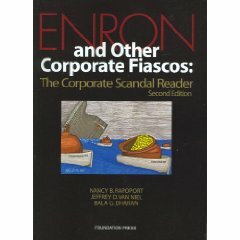 Our second edition of the Enron book (Enron and Other Corporate Scandals: The Corporate Scandal Reader, 2d) is on Amazon now. Jeff did the cover art (see here), and the link is here. I am, apparently, still a "bargain." Want to see my personal trainer, Jeff Monroe, and his wife, Priscila Monroe, on my gym's website? Click here and then click on "guests." For Jeff's ad, see here. My piece today in JURIST (here). Would love your thoughts. Better yet, weigh in at www.recovery.gov. Thanks! PLEASE SEND THESE TWO RICE U STUDENTS TO THE OSCARS!!!!!!!!!!!! I just watched this video (here), where two Rice University students, Faheem Ahmed and Anish Patel, are finalists to be correspondents for MTV-U at the Oscars on Sunday night. The video cracked me up, and these two Owls deserve to be chosen. Please vote! Academics whose actions disappoint me more than I can say. See here for the list of academics who have signed on to a petition of a boycott of Israel. What's going on in the Middle East is complicated, and I'm not saying that Israel is perfect, by any means. But my guess is that a lot of these academics are paying attention only to one side of the story, which is never a good thing for an academic to do. On forcing banks to prove they hold the mortgage: see here. On courts that process thousands of foreclosures a day: see here. Some of the parameters of the stimulus's changes for mortgages: see here. Some of the problems with the changes: see here. See here. A special thanks to Bernard Hibbitts for publishing it! My hubby has had a problem w/Verified by Visa that started out as a good sign, not a bad one. He had just made a large purchase, followed by a smaller purchase from the same company, and the company from which he had purchased checked to make sure that his card hadn't been stolen. Good, right? Well, although Hubby had called the company back to reassure it that he was the purchaser, Verified by Visa froze his account. Then Verified by Visa froze ALL of his Visa cards that had been linked to Verified by Visa. Hubby spent over 2 hours on the phone to try to get his cards unlocked, to no avail. Apparently, Verified by Visa can only protect someone's cards, not un-protect them when requested to by the authorized user. What have we learned from this experience? No more Verified by Visa. EVER. Take a look at this: http://www.youtube.com/watch?v=KF8LqoIC_5k. Our cat Shadow eats wheat toast. We should video that sometime, but at 5 a.m., we're too groggy. See also this, which reminds me of Grace. Enjoy! For all of those product manufacturers who have automatic spammers put in random comments throughout my blog, I've created a boycott list. If you post random crud on my blog, I'll add you to this list. Please boycott these products. Thanks!